The Academy offers many special interest activities and clubs for students. The following organizations are currently active and serving the school and community. Additional clubs may be added as student interest arises. You may also view or athletic in inter-curricular offerings. Amnesty International is a global movement of millions of people demanding human rights for all people – no matter who they are or where they are. AI is the world’s largest grassroots human rights organization. The Coe-Brown student group contributes to AI’s work by taking direct actions, fostering community awareness and education, and other activities. The group meets Mondays after school in Room 114. Advisor: Mr. White swhite@coebrown.org. Club members are very curious people! They seek to learn a brand new alphabet and learn the grammatical system that produced the words of Socrates, Aristotle, and Plato. If you like riddles or codes, this is the club for you! While several students in the club have already been studying Latin, Russian, French, Chinese, or Spanish, freshmen are invited to join as well. No previous language experience is necessary. Curiosity is the only prerequisite. Athena Club is an opportunity for a select group of young women, in the tenth grade, to meet together, tackle activities and explore what it means to be a female leader in today’s world. Topics that will be explored include: historical fight for equality, women and the arts, the beauty ideal, friendships, violence against women, world issues, risk-taking, and mentoring. Student led group which gives students an opportunity to have fellowship together through signing, prayer, “get to know you” games, and Bible study. Open to all! Faculty contact person: : Ms. Carrie Kennedy, Room 102, ckennedy@coebrown.org (Mrs. Laurie Foster will be helping when she can.) Meets Wednesday mornings at 7:00 am in Room 102. Membership in the CBNA Chorus is a prerequisite unless otherwise cleared by the director. Rehearsal times (always outside of school day) and performances will be determined from semester to semester based on the composition of the groups and their abilities. The goal of Chemistry Society is to explore chemical reactions and educate students through scientific experimentation. Members research, design, and carry out experiments not included in their coursework and delve deeper into concepts of interest. The club includes students of all grade levels and chemistry backgrounds. Members will meet once a week to support student writers in their creative endeavors. This is a student run group that is open to all students who enjoy writing of all types and who are looking for a supportive group to write with, give and receive feedback, and participate in guided and self-directed projects. The Debate Club’s goal is to allow students to experience different styles of debate in a friendly and exciting environment. Students will work in teams and individually to research opposing sides of different topics and present them in varying styles. Students will become educated in current issues and learn how to present facts and opinions in a friendly, but organized manner. The Drama Club is open to all students interested in the performing arts. Two major productions are scheduled each year to provide students with a variety of experience in the production of plays. In addition, there are opportunities for students to work on student directed one act plays, to attend statewide drama festivals and to participate in improvisation groups. The Film Club provides an outlet for students wanting to develop or improve their filmmaking skills. Advisors provide insight, examples and anecdotes to help the filmmakers refine their own ideas, productions and overall quality. Occasional CBNA film competitions incite the members to make films and to focus on certain techniques. Finished products are watched during club meetings. The final goal is to submit an end-of-the-year project to the New Hampshire High School Short Film Festival, a festival showcasing New Hampshire’s best high school films. Coe-Brown students have the opportunity to become members of the International Thespian Society, an organization that recognizes theatre students for their excellent participation in theatre related activities. Induction to ITS is available to students once per year, based on specific criteria related to excellent work in theatre productions. Rehearsals for Jazz Ensemble normally begins after Pep Band has concluded. Instrumentation is based on the traditional Big Band set-up i.e. ; trumpets (5) trombones (4) saxes (5) and rhythm section consisting of piano, bass, guitar, and drums. Preference will be given to members of the CBNA Band Program and audition will be held as necessary. The Jazz Band is an advanced level group. Students are expected to be at all rehearsals and performances and to prepare outside of rehearsals. Repertoire will be chosen from all categories of Jazz including Swing, Latin, Ballads, and Jazz-Rock. The literary/art magazine, Paragon is published yearly in May. The goal is to present in a professional manner the very best of student generated literary, visual and academic work produced during the current school year. The magazine staff is composed of students and advisors who meet on a weekly basis throughout the school year. Being on the staff provides experience in writing, marketing, editing, graphic design, and layout. Preparations to ready the magazine are done by the magazine staff on networked computers. The magazine has garnered national awards each year from Columbia Scholastic Press Association and National Council of Teachers of English. The Math Team is open to any student in a college prep math course. Coe-Brown competes in the Southeastern Conference Math League and the State of New Hampshire Mathalon. 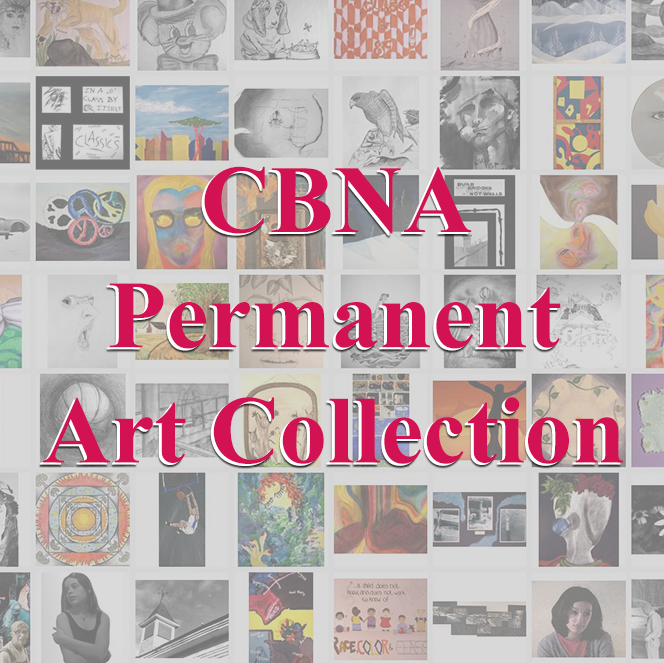 Designed by the National Art Education Association for high school students in grades 10, 11 and 12, for the purpose of inspiring and recognizing those students who have shown an outstanding ability in art. The NAHS strives to aid its members in working toward the attainment of their highest potential in art areas, and to bring art education to the attention of the school and community. Students are nominated based on previous art class work. Candidates will follow up with an application and a portfolio review. Criteria for membership emphasize outstanding artistic scholarship and service to the school and community through the development of artistic endeavors together with a strong moral character. Students who have completed one year of secondary art instruction are eligible for selection and shall have maintained a minimum art scholarship of a “B” grade or higher. The Societe aims to stimulate interest in the study of French, to award high scholastic achievement and to promote international friendship. To be eligible for membership, a student must be enrolled in the second semester of French II (or above) and must have maintained an A- average or higher in French during the semester of selection as well as a cumulative average of A- (based on grades of three proceeding semesters) and a B- average or higher in all other subjects. The National Honor Society is a leader among organizations and societies that promote appropriate recognition for students who reflect outstanding accomplishments in the areas of scholarship, character, leadership and service. Membership is often regarded as a valid indicator that the student will succeed in life and particularly in studies at the post secondary level. Students are elected to the Honor Society by the faculty. In 2000, CBNA established a chapter of the National Latin Honor Society for the sole purpose of recognizing exemplary performance in the study of Latin. Students who have completed Latin II and are currently enrolled in Latin III are chosen based on grades and dedication to the study of the Latin language. A select group of upper-classmen chosen to represent CBNA at various schoolwide events. Peer Helpers sponsors the 8th grade Lock-In, provides tutorials to the Strafford and Northwood Elementary School students, and takes part in other CBNA and community-based charitable activities. These students also serve as CBNA ambassadors to new and transfer students, and mentor students who are struggling academically and/or socially. Meetings are held weekly, and attendance is mandatory. Membership: Juniors and seniors are chosen through an application and interview process. Qualifications for membership include, good academic standing (passing at least 4 courses), positive references, no discipline issues, no attendance issues, abstinence from drugs and/or alcohol, and an overall good character. Faculty Contacts: Tara Tenasco (tatenasco@coebrown.org) and Jennifer Cox (jcox@coebrown.org), Guidance Counselors. The CBNA Pep Band provides musical support to our basketball program. Rehearsals begin in the fall and students who sign-up need to make a commitment for the entire season. Typically this involves games during the February vacation. The Pep Band will perform at home games of both the boys’ and girls’ basketball teams and selected tournament games. Band students are highly encouraged to participate as it gives the Band program great exposure and offers students the opportunity to perform popular music in a casual setting. This is a new club (established 2017-2018 school year) that will be conducting clothing/supply drives at CBNA and then distributing the collected items to individuals experiencing homelessness in Cambridge, MA. Students will be collecting unopened packages of socks and boxers, bottles of water, and granola bars. Members will also prepare and bake sandwiches and cookies to distribute. This club gives students the opportunity to gain organizational skills by managing the drives and publicity while also promoting face-to-face contact with those they wish to help, allowing students to learn the names and shake the hands of real people who are not very different from themselves. Project SEARCH is a collaborative program between the University of New Hampshire and area high schools designed for advanced high school students. The program provides an on-campus, intellectually challenging experience for academically motivated juniors and seniors. Goals of the program include fostering positive attitudes toward the exploration of new and challenging ideas as well as providing a forum where high school students can interact with each other in a series of challenging interdisciplinary seminars and discussions. SEARCH is an “honors” program in that students invited to participate must meet a series of academic and social criteria and must be recommended by their teachers. Team members will meet weekly to enhance their trivia knowledge. Students travel to various competitions across the state to compete with fellow trivia teams from other high schools. The Science Club provides an opportunity for students from all grades interested in exploring science at a level beyond that of the classroom. Areas such as ecology, meteorology, robotics, computer applications, chemistry, and electronics may be explored on an individual basis with the help from the advisers. The club currently plans on competing in the state VEX Robotics Tournament. This elite group is chosen at the beginning of the school year through an audition process. Membership in the CBNA Chorus is a prerequisite. The number of people chosen will range from 12 to 20 depending on what is needed to achieve balance. The Select Chorus rehearses regularly and attendance is expected. A wide range of musical styles is explored from Renaissance to Contemporary. Performance dates include the two major concerts and singing the National Anthem at home basketball games as well as other special events that developing during the school year. In 1999, CBNA established a local chapter of the Sociedad Honoraria Hispanica sponsored by the American Association of Teachers of Spanish and Portuguese. The Sociedad purposes to stimulate interest in the study of Spanish, to award high scholastic achievement and to promote communication in Spanish throughout life. Four elected representatives from each class make up the Student Council. In fostering and coordinating student activities, such as Winter Carnival and prom, as well as being the representative voice for students to Administration, the Council fulfills an essential part of student life. Student-Athlete Leadership Team (S.A.L.T.) is a practical program that focuses on student-athletes and what they can do to be better leaders both for their team and for the rest of the community. Student-Athletes with meet twice a month to discuss leadership, influential figures, integrity, sportsmanship, and other topics in athletics. The Honourable Society for Philocubism is dedicated to the experience and exploration of games in all their myriad forms: board games, card games, and (above all others) role-playing games. It is comprised of the most varied and inventive individuals: theatrical and enthusiastic role-players, intense and dedicated gamers, explorers of the exciting unknown, and artisans of unparalleled creativity. The Society’s chief purpose is the providence of these members through the media of tabletop gaming, allowing them to craft unique persons and explore fantastical realms of the imagination in an activity that is equal parts social, intellectual, and artistic. It is open to all manner of persons who find themselves drawn to this sort of experience, and likewise it is open to the possibility of all styles and genres of game that members may wish to pursue. At its heart, it is a society for the honourable furthering of philocubism: the most profound love of games involving dice. Chronicle, our yearbook, is the record of our aspirations and accomplishments. The yearbook staff works all year long with their advisor to collect, collate, edit and lay out an annual record of excellent quality.